Google debuted YouTube Music Key in November, and for $10 a month, this essentially turned YouTube into a music streaming service. With ad-free music videos and background audio playback, YouTube serves as a viable alternative to Spotify or Pandora for Music Key subscribers. Even if you're fine paying a monthly fee, there's a bigger issue with Music Key—it's still not available to the general public. At the time of this writing, only members of Google Music All Access can use Music Key. But developer Pyler has recently discovered a way to unlock some of these features for free. 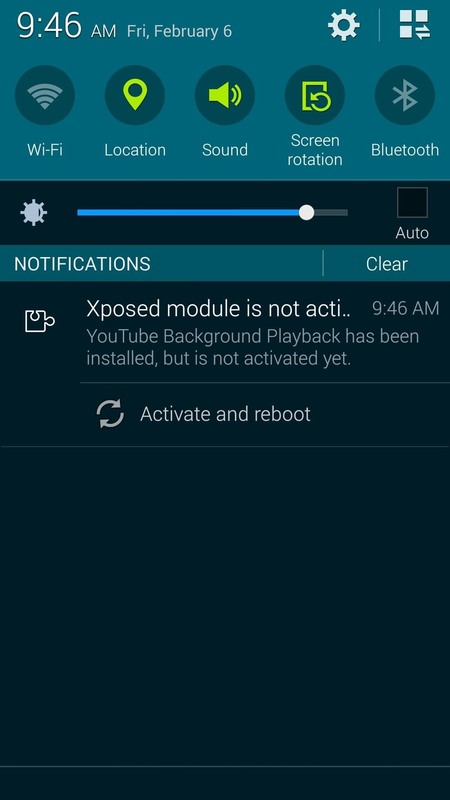 His Xposed module enables screen-off YouTube playback on most devices, and can even offer full background playback on some. And the best part? 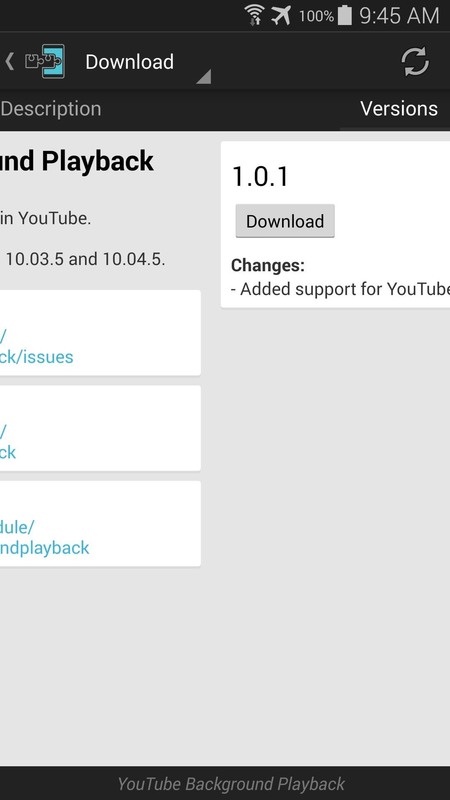 It enables these features on the regular, native YouTube app, so there's no need to install any third-party variations. To begin, open your Xposed Installer app and head to the Download section. 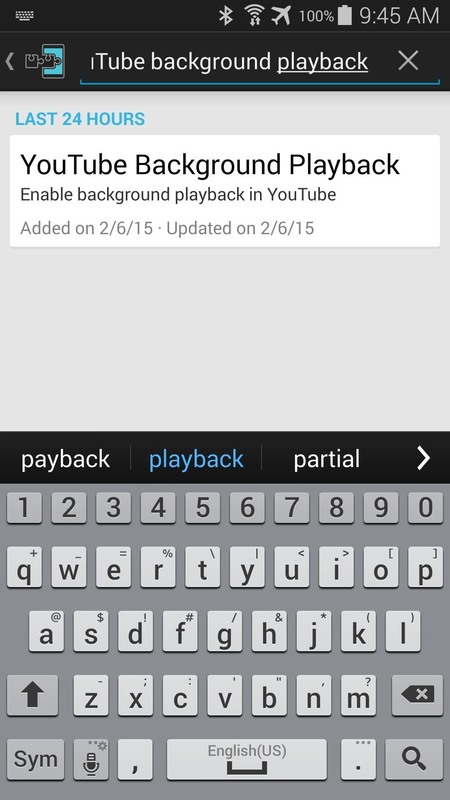 From here, search YouTube Background Playback, then tap the top result. 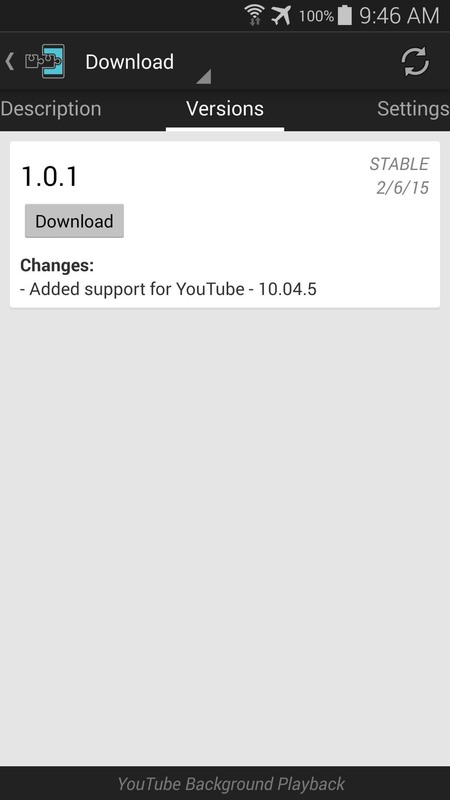 After that, swipe over to the Versions tab, then hit the "Download" button next to the most recent entry. Within a few seconds, Android's installer interface should come right up. 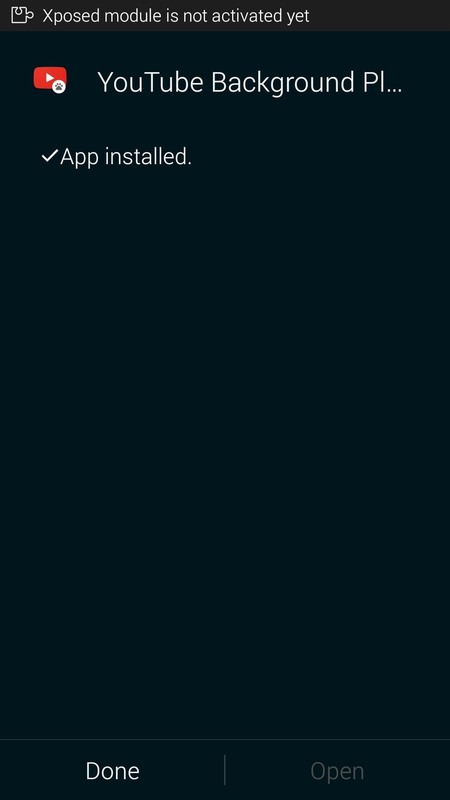 Simply tap "Install" on this screen. 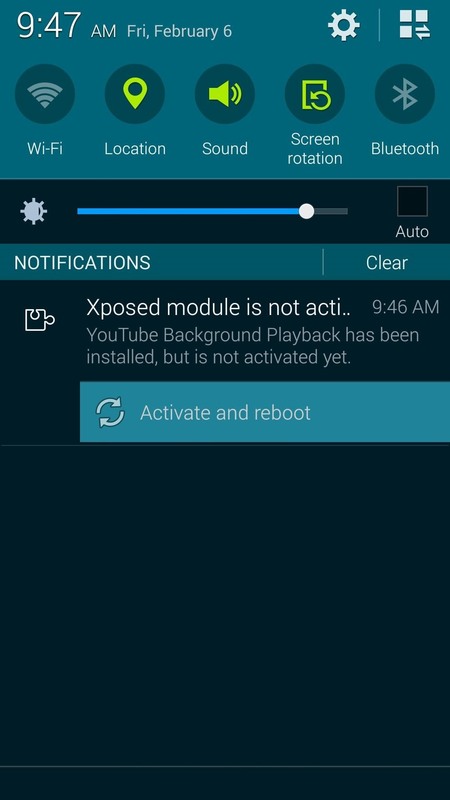 When installation has finished, you'll get a notification from Xposed informing you that the module hasn't been activated yet and that a reboot is needed. Just tap the "Activate and reboot" button on this notification to take care of both requirements at once. 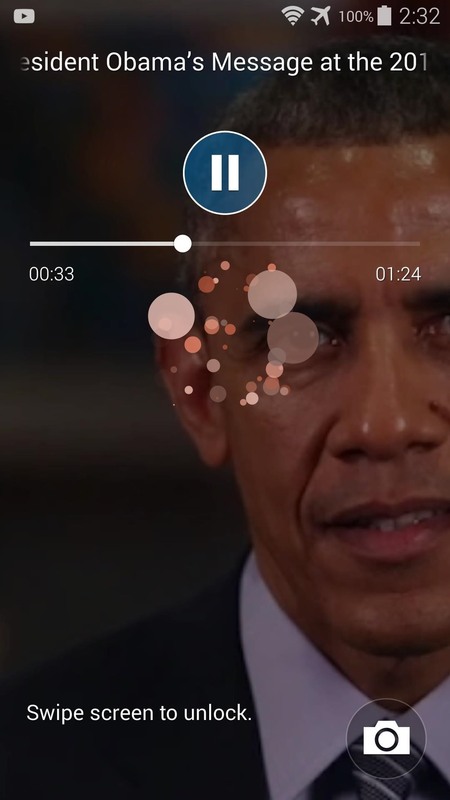 For some devices, background playback may not work while multitasking. 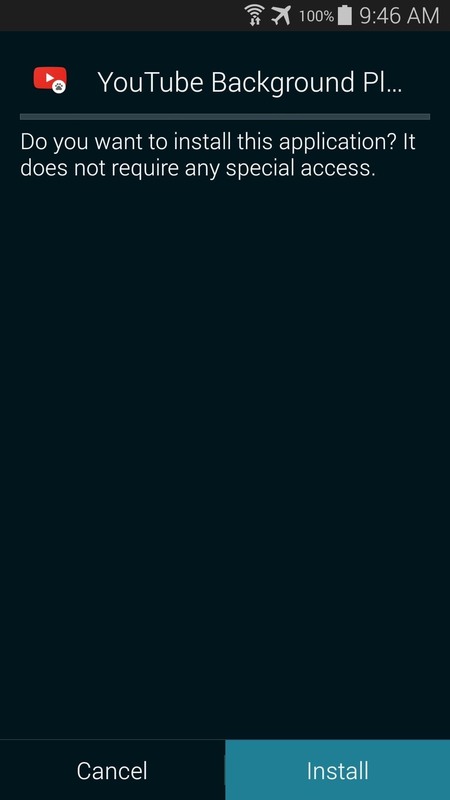 The developer is aware of this issue and hopes to release a fix soon. In the meantime, all supported devices are capable of playing YouTube audio with the screen off. 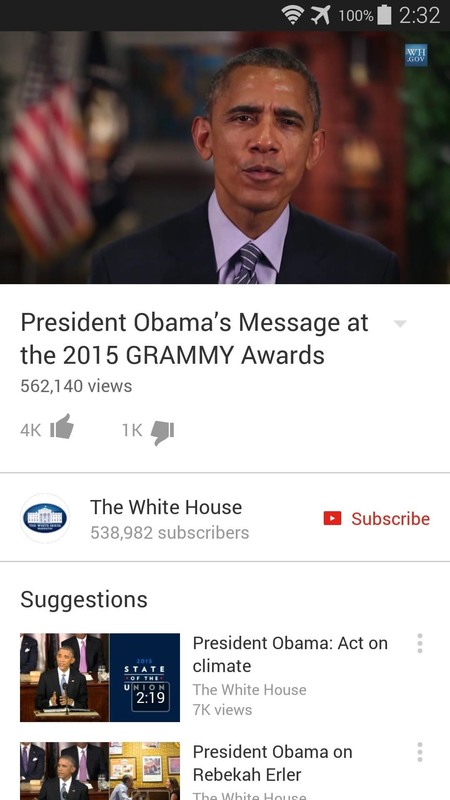 Just open your regular YouTube app and start playing any video. Lock the screen, and audio playback will continue automatically. 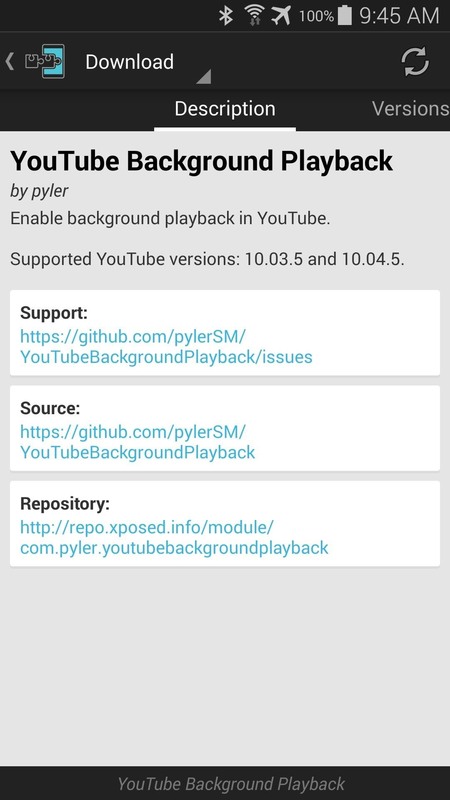 Has this module turned YouTube into a viable music streaming service in your opinion? Let us know in the comment section below, or drop us a line on Facebook, Google+, or Twitter.